Mentorship & Advisory In-house entrepreneurs and advisors from different sectors will be available to provide strategic advice tailored to each company’s business needs and requirements. Access to funding The right type of capital is provided at different stages in the startup’s lifecycle to ensure success. 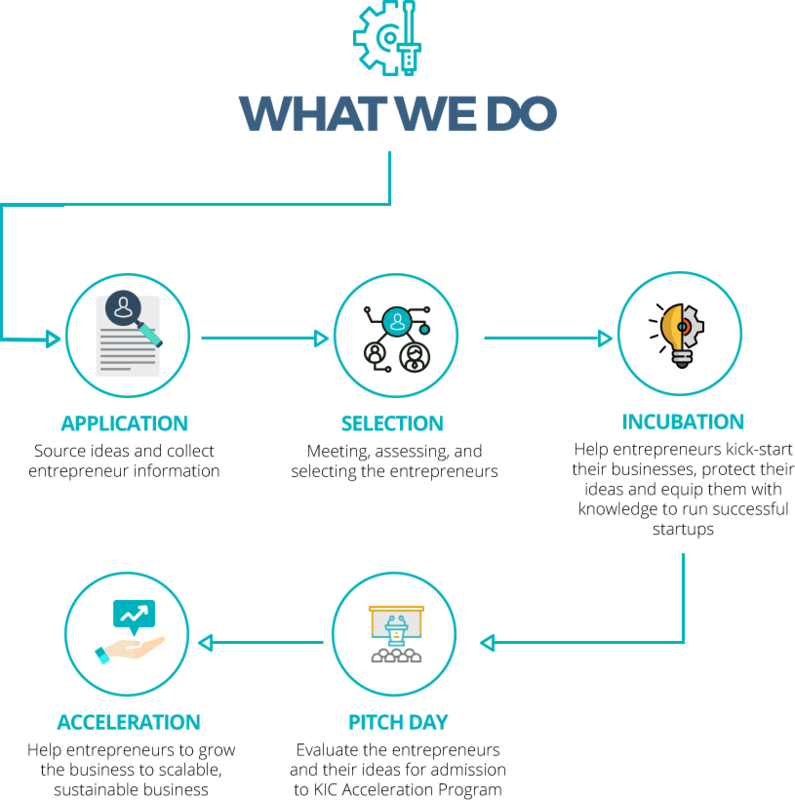 The center’s ecosystem provides such capital through access to key funding entities such as government agencies, crowd-funding, investors, VC’s and angels. Seminars & Entrepreneur Workshops Events such as seminars, workshops, talks from expert speakers and existing startup CEOs will be organized to support entrepreneur training. Resources Offices, hot desk areas, hubs, collaborative spaces, workshops/workbenches, labs and meeting/conference rooms are provided within the center. 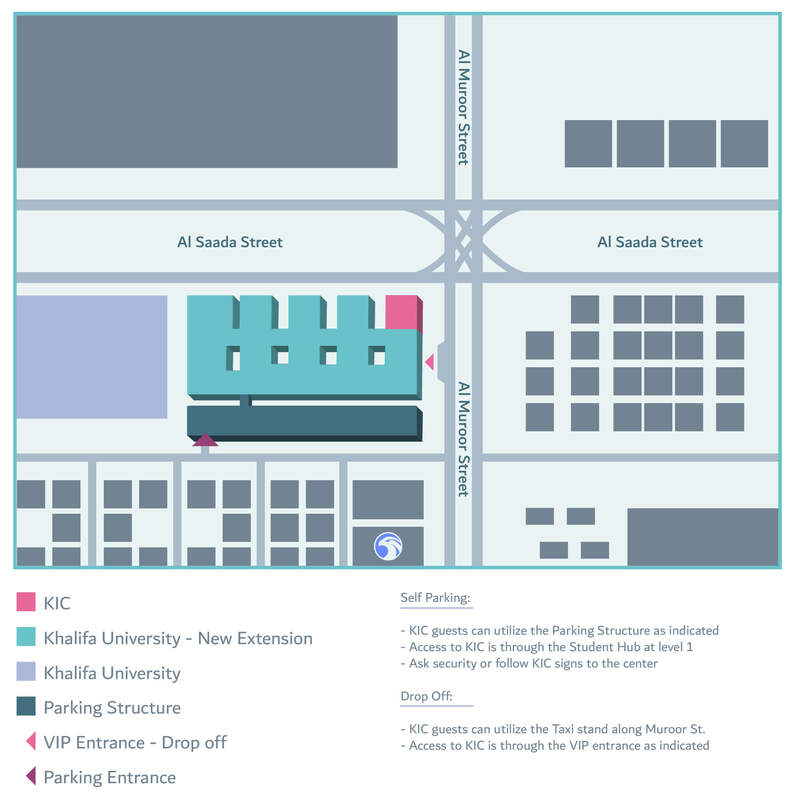 KU is reputed as a leading engineering institution of higher education in the United Arab Emirates; this quality will directly feed into the KIC. Objective: Helping entrepreneurs kick-start their business, protect their ideas, and equip them with the necessary knowledge to run a successful startup. Duration and Frequency: 20 week program conducted twice a year. Financial Support: Financing of up to 80,000 AED. Funding is limited on a need bases. Objective: Help the entrepreneur to grow the business to a scalable, sustainable business. Duration and Frequency: 6 month to 2 year program. Financial Support: KIC could invest up to 1,500,000 AED per startup. Funding is limited on a need bases.